Hold 2-3 credit and/or ID cards with this handy giveaway made of soft silicone. The adhesive backing fits snugly to any smartphone, tablet or other device. The smooth microfiber cloth peels away to clean down any computer screen tablet or phone and can be reattached. 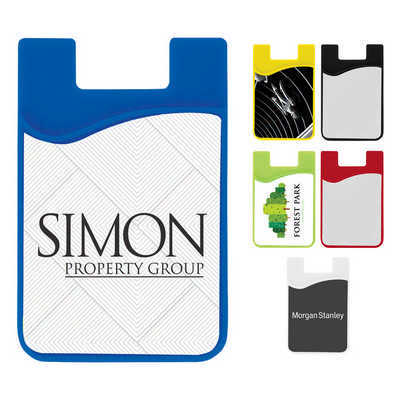 Colours: White, Blue, Red, Green,?Black, Grey and Yellow, Dimension: 56mm w x 88mm h. Price includes : 15 Day Service* Sublimation Print - One Location. Setup is included.